After the success of the first BAD-T, it was decided that the tournament should go one step further. On the purpose of this tournament, the mod Aviator Arsenal was created, FAR and BDArmory received several features and tweaks and new Kerbin-Side battleground maps were made, all of that thanks to @VintageXP, @ferram4, @BahamutoD and @SuicidalInsanity. Also thanks to @Lack for allowing the distribution of SXT prop engines with tweaked settings. The second version of this tournament consists on 2x2 World War 2 themed airplanes battling on unique custom made airfields and natural locations spread across the Kerbin planet. On this tournament you can submit either a Fighter or Heavy fighter airplane, which will then fight against other airplanes on battles ran by me. They will then be available on youtube, just like on the first BAD-T. When an entry loses a battle, it's out of the main competition branch. Since a high number of entries is expected these airplanes will only have the chance to fight again if a member of our community volunteers to run these battles. If the number of entries is not as great, these battles may be run by me but will not be recorded. Lost the first battle? No problem! There are two classes, Fighter and Heavy Fighter. You can spend up to 100 points however you wish. Your airplane must weight more than 2.5 tons* and have one single propeller engine. You can spend up to 150 points however you wish. Your airplane must weight more than 6 tons* and have two propeller engines. *dry weight, empty of any resource that the aircraft utilizes such as ammo and liquid fuel, oxidizer and ore are examples of not useful resources that can be used as ballast. -Engines cost their stationary thrust in kN. -Weapons cost their caliber in millimeters. Points including decimals of the engine/weapon stats. Check Craft rules for details. - Your craft must contain no more than 60 parts. - Only Aviator Arsenal stationary weapons are allowed. - Maximum of 6 weapons of a single type on your airplane. - Open cockpits must be safe, that means that the Kerbal must not be too exposed nor sit on extreme parts of the craft. - It must fly with FAR and be able to take down the test dummy on it's own (just to make sure you have the right mods and that you or I didn't mess up somewhere). 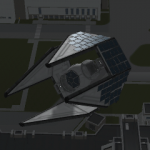 - The craft must contain at least one Kerbal and only one Communications Antenna, which must be visible (this part contains both a weapons manager and AI module). - It must not contain rocket grade parts (ore or RCS ballasts are fine, as long as not structurally important). - Scientific instruments are allowed for aesthetic purposes. - When present, the cockpit reaction wheels must be turned off. - Procedural wings thickness must be greater than 0.120 for any reasonably sized wing part to prevent glitches. - FAR's wings Mass-Strength must be between 0.25 and 1.5. - The deadline is March 13th (deadline is over). 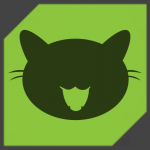 - Your craft must be available to download through kerbalx or dropbox ONLY, no other hosting platform is allowed. - You must not submit more than one airplane*, if something goes wrong please contact me via PM. - Sharing crafts on this thread, being that your submission or not, is allowed, but that is entirely up to you and will not count as a valid entry, only the google form submissions will be valid. - You are free to cooperate with your friends to build an airplane together but remember that any sort of roleplaying is strictly forbidden by the forum rules. *I am studying the possibility of submitting two different airplanes to battle together on a future version of the tournament, but for now only one airplane per submission will be accepted. Until when can I submit my airplane? Until March 13th (deadline is over, you cannot submit anymore). Can I submit both a Fighter and Heavy Fighter? Not right now, it would stop being a matter of which airplane is the best and would be a matter of which pair fights the best, and that is much more complex for the players to handle. 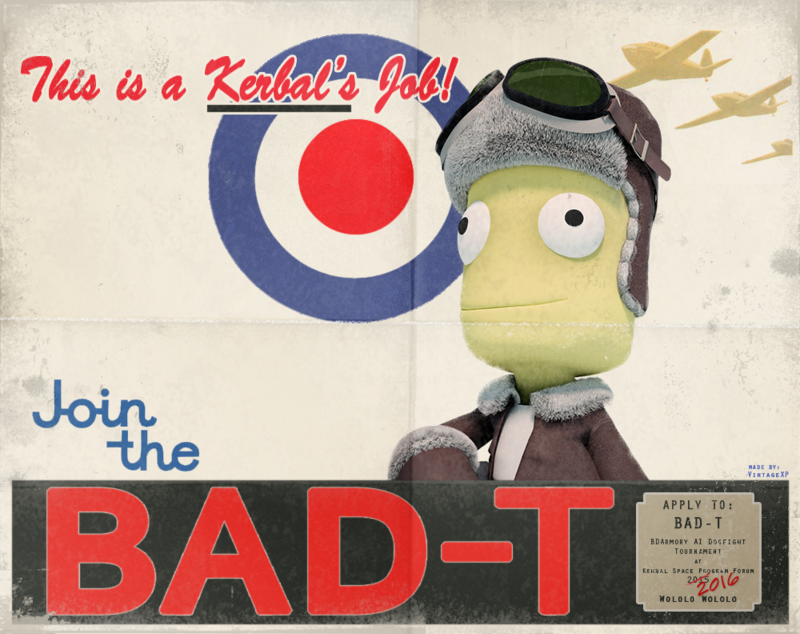 Maybe on the next version of BAD-T.
KAX is an amazing mod, but SXT had enough propellers to fulfill the desired roles. I messed up on my submission, what to do? You must send me a private message explaining what went wrong. I updated my plane after submitting, can I resubmit it? No. It would be very chaotic for me to dig through several submissions of the same person to figure out which one is the latest. My airplane breaks some/any of the rules by accident, what can I do? If an airplane breaks one of the rules or does not beat the dummy plane you will receive a PM and will have the chance to resubmit once. See? I am not a bad person, I think. How do I make an airplane fly on FAR? I am working on a FAR video tutorial specially for this challenge right now, don't mind my accent. My airplane is really bad, should I submit it anyway? Hell, yes. The main purpose of this challenge is having fun, not everybody in here is that eager to win. Can I create a fake cockpit using a chair and some other parts? Yes, of course you can, just make sure the kerbal is not too exposed nor sitting on extreme parts of the craft like stated on the rules. Even though you can only submit one airplane, that does not mean you can't update it. Both hosting platforms, Dropbox and KerbalX allow you to update your airplane as needed, without breaking the download link. I am only going to download and validate the entries after the submissions are closed (for sanity sake), and that means it does not matter what is in there before that happens. If you submitted your airplane early but realized there were a few tweaks left, or simply that you made a whole new better design, just go ahead and update the sources, making sure that you use the exact same names as the original ones, for consistency, if something shows up and I have no idea what it is because the link, file and craft name don't match (or are at least very similar) I will have to throw away the craft and assume it was something I pushed by accident. To update your airplane on Dropbox, simply replace the .craft or .zip file by the new one, with the exact same name, and the old dropbox link will download that instead. On KerbalX, simply open the craft, hit edit, then drop the new craft file on the upload box. After the craft is uploaded hit the "Update" button and the craft will automatically update. But again, make sure the names are the exact same or it may screw up the links or something like that. Can we submit both a fighter and a heavy fighter? If they are going to be participating in different categories of course. @alp3r not right now, it would stop being a matter of which airplane is the best and would be a matter of which pair fights the best, and that is much more complex for the players to handle. Maybe on the next version of BAD-T, also if KSP 1.1 is able to handle 3x3 battles we will definitelly have heavy fighters together with fighters. I'm looking forward to finally submitting! I missed last year as I really wasn't great with BDArmoury, but I've taught myself how to use it and I think I can build something decent. This time (I promise) I will add guides and more things to assist in building airplanes for the challenge, so don't worry too much about it Mighty, just build until you find a good design. My signature has some guides, but it's pure text. Location: Marooned on Eve with my pet cat. @tetryds The propellers on the dummy dont spin. haven't tested the other props yet. WHOOPS, forgot to add firespitter module. Edit: Done, thanks for the heads up. Oh, I know the wing strength trick, its what I'm using; I'm still needing some ballast above and beyond that though. Is that a pwing thing? or do you mean layering wings? @Gnoyze He meant the wing settings that appear when you are using FAR. It's a Mass-Strength setting, if you increase it you wing can withstand higher aerodynamic forces before breaking, at the expense of increased weight. Increased weight makes the wing stronger against gunshots by increasing the thermal capacity, as BDArmory uses heat as damage (which is a brilliant idea, btw.). In FAR, if you right click on a wing part, it gives you a strength contextual slider, Default is 1.0 for standard wing strength; increasing/decreasing the wing strength also increases/decreases the weight of the wing. Increased weight makes the wing stronger against gunshots by increasing the thermal capacity, as BDArmory uses that as damage (which is a brilliant idea, btw.). Sweet. I'll have to make use of this with my bomber/heavy fighter. Well, it was mostly to hit bombers in their blind spots anyway. Which there won't be any of. @Aerolfos That is because the AI was not made to dodge turrets, it simply goes straight at the airplane, if you place a turret on the back aiming backwards you are invincible, no matter how slow the turret is. Lots of people are wanting to make heavy fighters, this is going to be good. Oooh! I can't decide whether to make a light or heavy fighter. I'm going to make one of each and see which turns out better (I seem to be spending most of my time on the planform anyway). A small note @tetryds : the GLORIOUS 'Falcon' engine doesn't seem to make any sound. Not sure whether it works in the original SXT version, but it's the only one of the props I've noticed the issue with. Reinstalling the mod didn't seem to help. Oh maaaaaaan... That totally ruins my previous design! 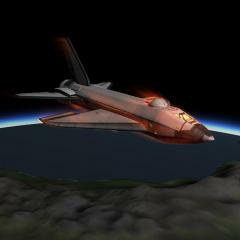 I had a perfectly balanced 2 engine fighter and there's no way I can make it any heavier without increasing its size! EDIT: By taking out the "dummy" we can either record a video or take screenshots of the fight, right? Also do we have to post the pictures of our designs in this thread? I think it would be fun to see the planes of other people and guess how they work, their weaknesess and streanghts. Kind of like on a real war. Can see a photo taken by a spy plane but can't fly it until it's captured. @Veeltch I will put 1x1 against the dummy on my own, you don't need to prove you can defeat it. That is just to make sure there is nothing wrong with your airplane, far from being a challenge at all. Updated with Falcon sound corrected. Sorry for the inconvenience, that was a side effect of changing the folders. You can redownload it to fix that. Small question: "Weapons cost their caliber in millimeters" excludes decimals, right? I'm trying to work out how many ShKAS I can cram into my plane.